Australia’s hottest slide guitarist Adam Hole is one of the country’s most exciting live acts on the circuit today. With Adam giving a real and raw gutsy sound with foot stomping grooves the Audience are captured straight away. His foot stomping, awesome slide guitar, driving and experimental rhythms have been wowing audiences all over Australia. He delivers songs with a powerful edge and an engaging stage chemistry that is captivating crowds from everywhere. Adam has delivered show-stopping performances at festivals as diverse as Port Fairy, Thredbo Blues Festival, Narooma Blues and Rockabilly Festival, Broadbeach Blues Festival, The Australian Blues Festival, The Bathurst 1000, Guitar shows around the country where he was rated as one of the top two players, the Apollo Bay Music Festival, Toyota Gympie Muster in his home land of Australia and Overseas at The Jazz and Blues Festival in New Zealand. Over the last years Adam has shared the stage & played alongside some of Australia’s top Artists including Jeff Lang, Angry Anderson and Phil Emmanuel just to name a few. 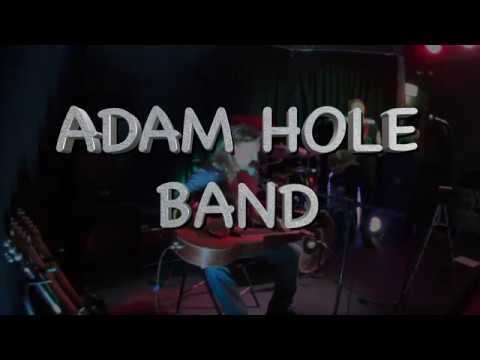 Australian Guitarist/Songwriter Adam Hole lets rip with high energy, raunchy slide guitar – stomping, dirty blues built on rock. Described as one of Australia’s leading solo blues guitarists in Chris Johnson’s latest book “Guitar – The Australian Story”, Hole is a wild man on lapsteel guitar, Resonator guitar, and electric guitar, all amped up to sound big and fat, with the band’s extra thumpy beat. Loud 70s rock/blues and a touch of hillbilly picking – birthed when live music was the real deal.